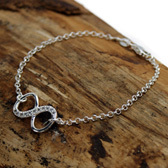 Very pretty Bella sterling silver bracelet with cubic zirconia stones featuring a central infinity symbol design representing a continual, never-ending bond. 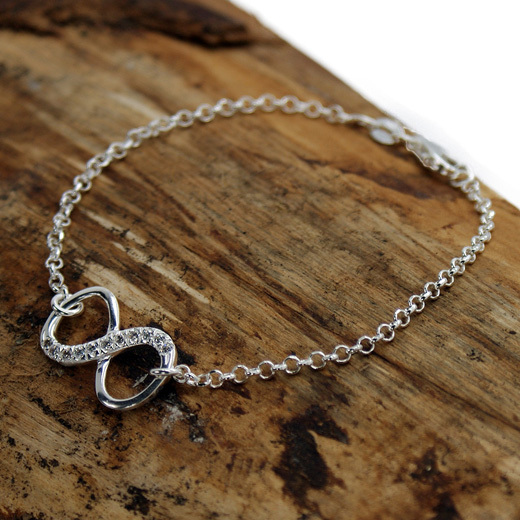 This delicate bracelet will add a classic silver and sparkly finish to any look and stack with your favourite bracelet styles for an eclectic finish. 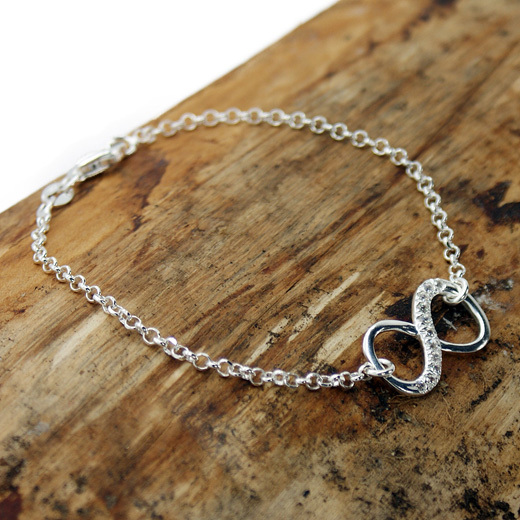 It fastens with a lobster clasp. 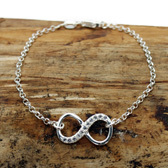 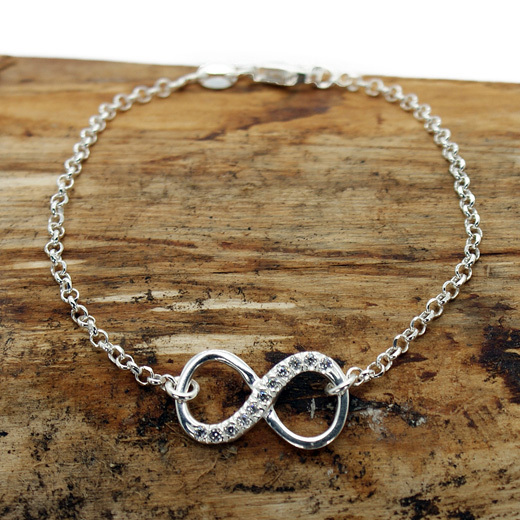 We also have matching Infinity Necklace on this page.